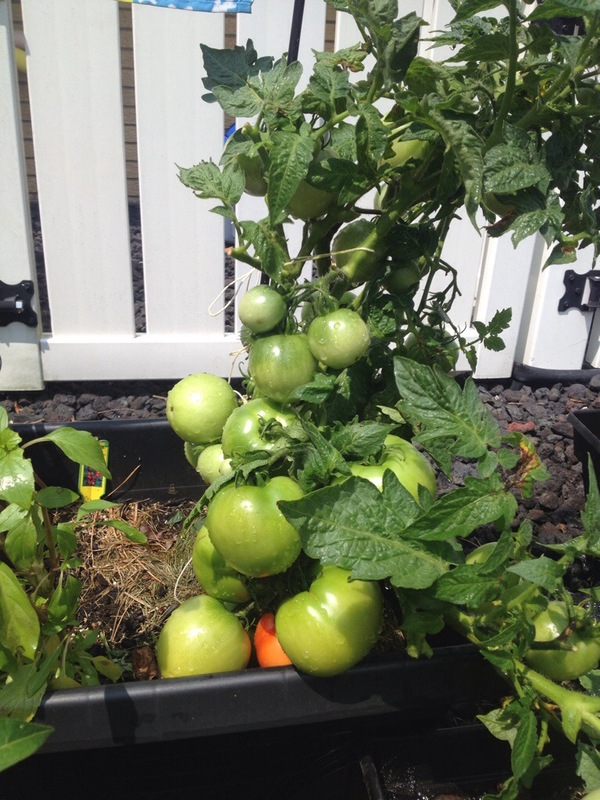 The small container garden I planted in mid-May is flourishing. 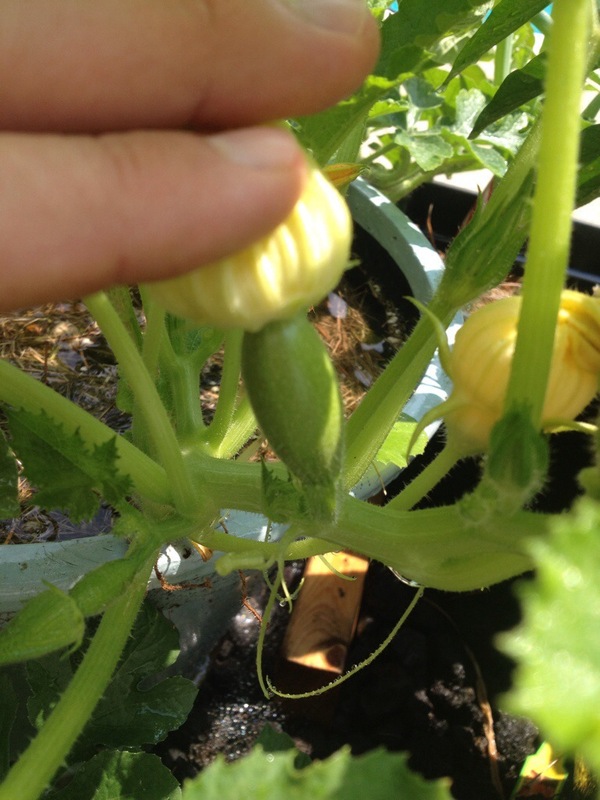 While I may have gotten a late start, things are shaping up in the little garden that could! 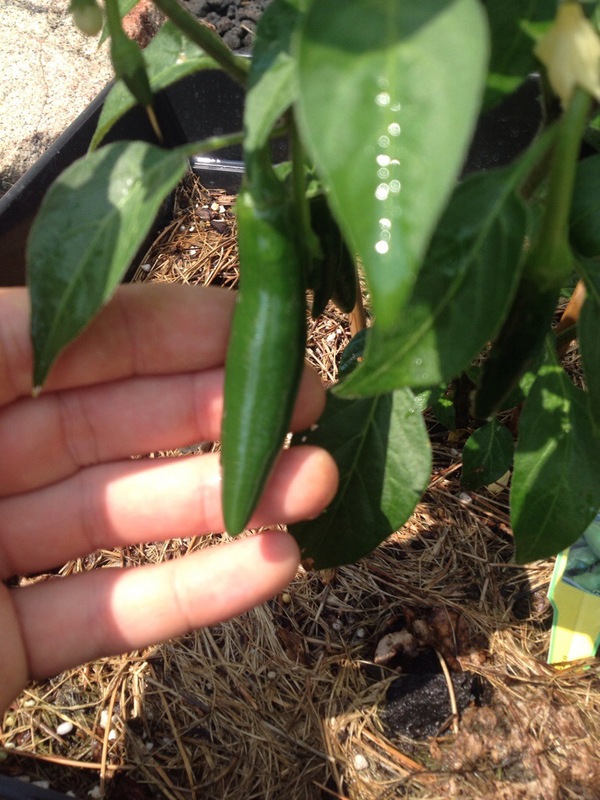 Serrano pepper plant is healthy and producing! 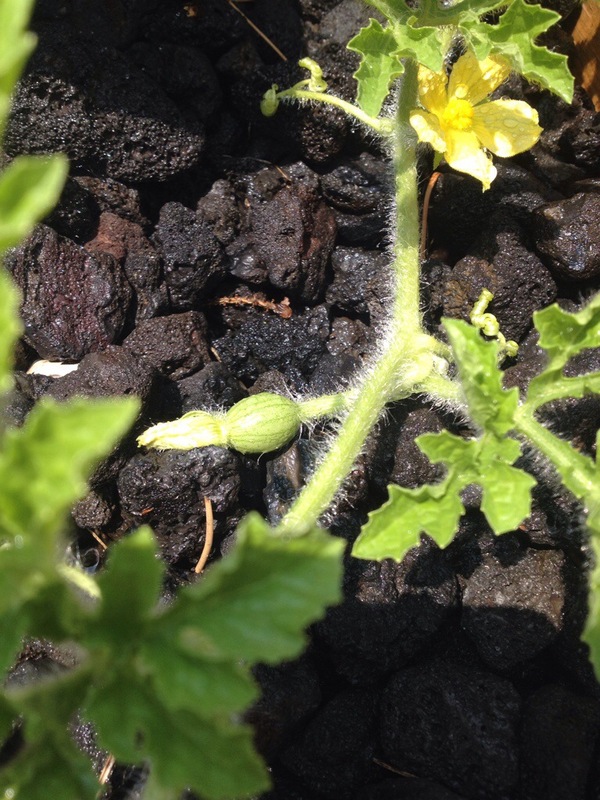 Tomato plant (Patio variety) is loaded with fruit, and will ripen better now that I’ve eliminated unnecessary foliage. 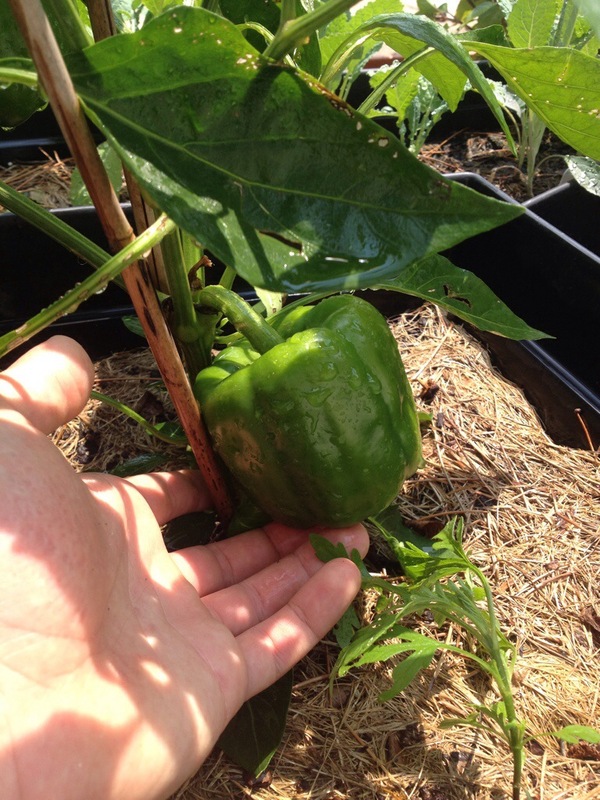 Orange bell pepper- needs to ripen on plant. 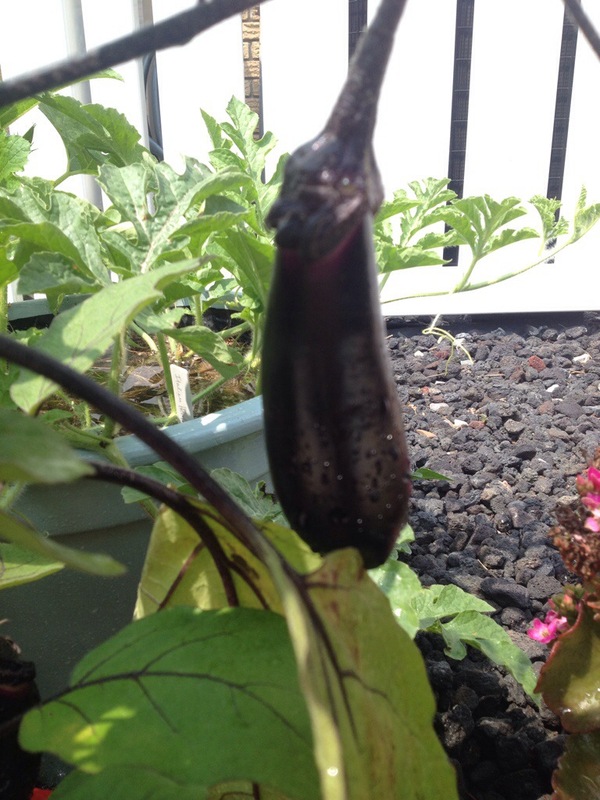 Japanese Eggplant is producing well. 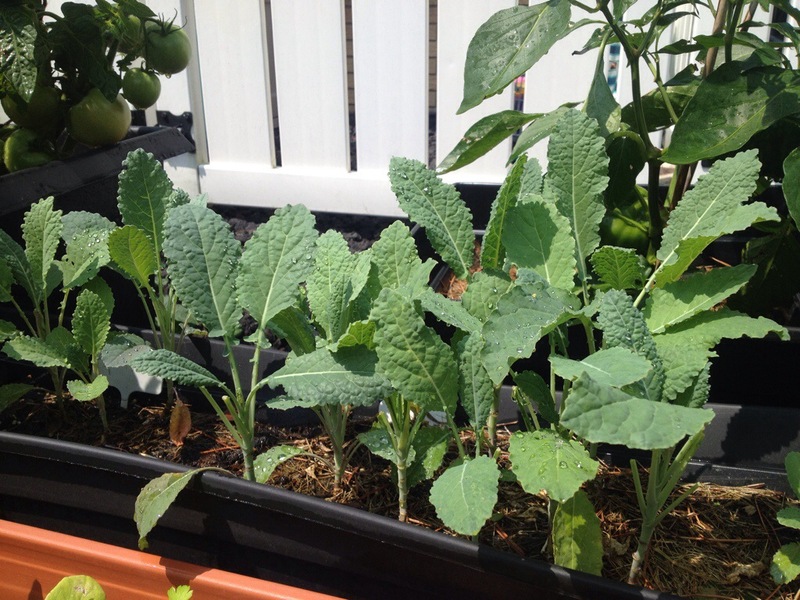 Kale is doing great- I love throwing this baby kale into my smoothies. Next Post Summer 2014 Re-cap: Food, Travel and How I Lived.